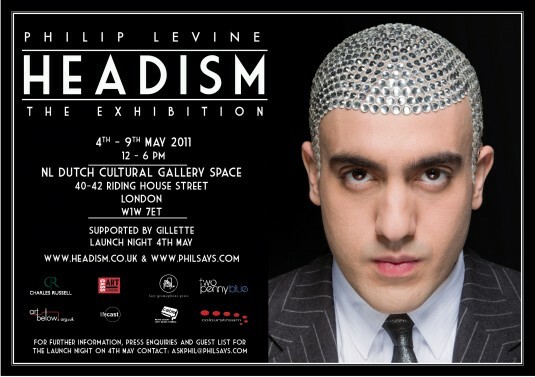 I am proud to announce ‘Headism’, a showcase of my best head designs in the NL – Dutch Cultural Gallery Space through photography by Daniel Regan, documentary by Viviane Castillo and sculpture supported by LifeCast. All the designs are in collaboration with body artist Kat Sinclair. The exhibition is supported by Gillette. Other creatives involved are Vernon Francois, HarlotVonCharlotte and Lazy Gramophone. For further information, press enquiries and guest list for the launch night on 4th May contact askphil@philsays.com or go to below website.